Sometimes foot problems do not respond to conservative treatments like medications, ice, and physical therapy. Instead, after a period of time, surgery must be considered. Persistent pain and a decline in normal function are often reasons why patients undergo surgical procedures. Bunions that continue to cause pain and discomfort are a good example of a condition that may eventually require an operation. Known as “Dallas’ Premier Bunion Specialist,” Dr. Joel W. Brook along with Dr. David R. Northcutt regularly perform bunion surgeries, called bunionectomies. Patients look to them for their surgical expertise, but also for their guidance in controlling post-operative pain. There are numerous other foot conditions that might necessitate surgery, including hammertoes, neuromas, metatarsals, fusions, heel or tendon surgery, and ankle surgery, just to name a few. 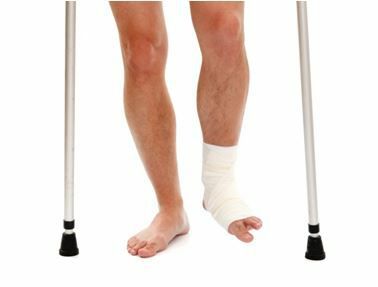 Post operation care is highly dependent upon the type of foot surgery performed, but the basics of all surgery recovery are similar. After your operation you will head home with strict instructions for the post-op period. Mainly, limit your activities, apply ice and keep your bandages snug to reduce swelling, and elevate your leg to decrease pain. A well-known trick to remembering all that is the word R.I.C.E—rest, ice, compression and elevation. You should also make sure to keep your bandages dry and clean by changing them often, and stay away from kids and pets that may inadvertently hurt your foot. Keep in mind, if excessive bleeding persists or you come down with a fever, it’s important that you contact your doctor immediately. At Dallas Podiatry Works, doctors may prescribe a pain reliever called On-Q-C-bloc. It works by slowly infusing a local anesthetic near a nerve to block pain signals. This simple system has proven to be extremely effective in controlling post-operative pain. It lessens the need for narcotics, which in turn reduces side-effects and complications. Plus, because it provides constant pain relief, it doesn’t wear off, assuring a more comfortable and quick recovery. Select-a-Flow is an available feature that allows podiatrists to adjust the rate of flow in accordance to individual pain relief requirements. Recuperating patients can even opt for an added feature called ONDEMAND. With this, a bolus button can be pushed to release 5 ml of additional medication in order to manage pain more effectively. Relieving the stress of pain can speed up your surgery recovery. Another safe and effective pain reliever available for post-operative care is called Exparel. This local anesthetic is injected at the source and reduces the need for narcotics, like opioid, for up to 72 hours. That could be longer than your post-surgical pain will even last! Plus, there’s no need for pumps or catheters. For these reasons, Exparel is an excellent option for post-operative pain relief. If you are scheduling surgery or recovering from it, talk to Dr. Joel W. Brook or Dr. David R. Northcutt about the post-operative care available at Dallas Podiatry Works. With their help, you will be on the road to recovery and back to normal in no time. Call toll free at 972.566.7474, or visit one of our convenient locations in Dallas or Plano TX.